While un- and under-employment of young adults from low-income communities is disproportionately high, businesses often struggle to find qualified candidates—especially from underrepresented groups—to fill open positions in the STEM workforce. 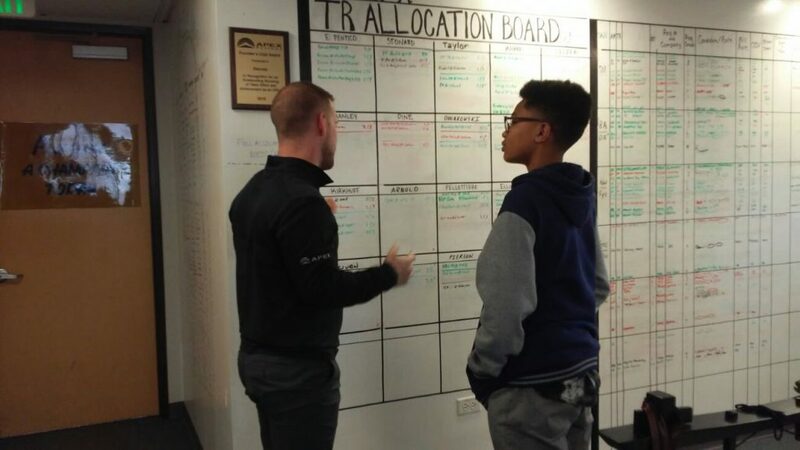 With its focus on professional technology tools and life skills valued in the workforce (problem-solving, initiative, collaboration), The Clubhouse holds a unique position to respond to these challenges. C2C (Clubhouse-to-Career) Pathways to Success draws on Clubhouse expertise to support the global need for a trained and ready workforce, in particular in STEM fields. BEST BUY TEEN TECH CENTERS IN 10 U.S. COMMUNITIES have been selected to create C2C Pathways programming at their sites in 2018-19. Building on lessons learned from prior years, C2C Pathways to Success programs will provide selected youth with the opportunity to focus on a specific area of technology (e.g., web development, tech support, graphic design), develop their workforce readiness skills, and gain real-world work experience through an internship placement. 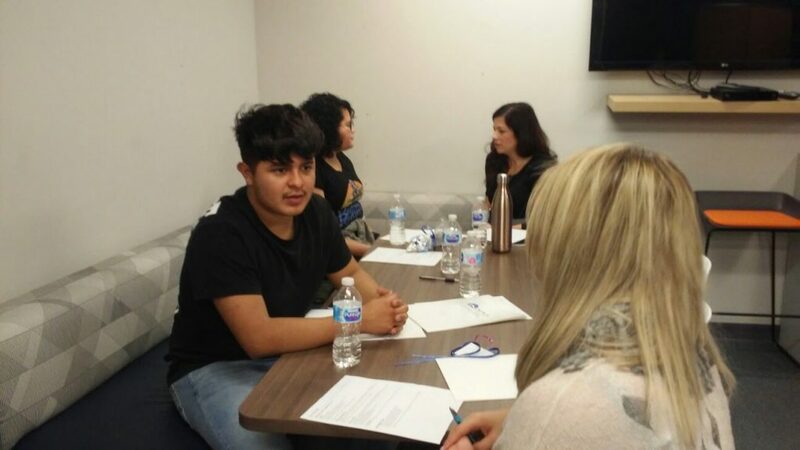 Staff will follow up regularly with C2C Pathways to Success participants to provide career guidance and advice during the internship and beyond. When Ezekiel (not his real name) joined C2C Pathways he knew he was at a low point in his life. As he started attending the weekly meetings, he began to have hope for his future. For the first time, he was able to find a full-time job at Staples and he was proud to successfully do his job and provide much needed financial support to his household. As it became closer to the summer, Ezekiel decided he was ready to make an informed decision: he left his full-time job at Staples for a paid summer internship at a local bank. The internship was so successful that he was hired to stay on as a full-time bank teller after the conclusion of the internship. Without Pathways, Ezekiel would not be where he is now. As new friendships were formed and new skills gained, Alexis went from a shy and reserved youth to someone with a strong voice and self-confidence. The collaboration with her peers and the Facilitator and other adults lit the embers of interest in a professional future. She was always responsible and reliable, but through her experience with Pathways and her successful internship, she blossomed and is now confident and excited to plan for her next step: college. Maya began the program with many challenges in her life, especially with her family and school. There were moments when she was overwhelmed by negatives and talked about dropping out of Pathways. However, as time passed she gained a sense of belonging and had a safe space to both express her feelings and think about a positive future. She shared her sense of hopelessness, talking about teachers’ low expectations, feeling ignored by adults and peers, and having a lack of true, trusted friends or family. In the end, Pathway gave her the opportunity to see herself as being successful and this has changed her story. C2C Pathways provides a variety of opportunities within local communities. Employers: Can you offer workshops to youth? Will your staff participate in resume reviews and mock interviews? Is it possible for youth to complete a job shadow experience within your organization? Would you host interns? Do you have an interest in funding a C2C Pathways program? Employees: Do you have specific skills and experiences to share with youth? Do you have an idea for a project for youth? What connections do you have within your professional networks to support youth career exploration and preparation? Would you participate in a career panel? Institutions of Higher Education: Would you invite youth to your campus for a tour? Can you offer a workshop to youth? Do you have students who are interested in volunteering or service learning? If you are interested in learning more about C2C Pathways To Success partnership opportunities, please contact Aviva Baff, C2C Pathways Program Manager at abaff@theclubhousenetwork.org.